Geraint Davies Stonemasonry was set up by Geraint in 2014. Geraint is and always will be a hands on stonemason and personally carves most of the stone in the projects the company takes on. Having been a stonemason for over 20 years, Geraint has a network of similarly experienced masons and trades people from all over South London that he can call on should a particular project require it. Geraint graduated in Design from Maidstone College of Art and Design, and then gained a Distinction at his City and Guilds Advanced Craft level in Stonemasonry at Lambeth College of Construction in 1995. 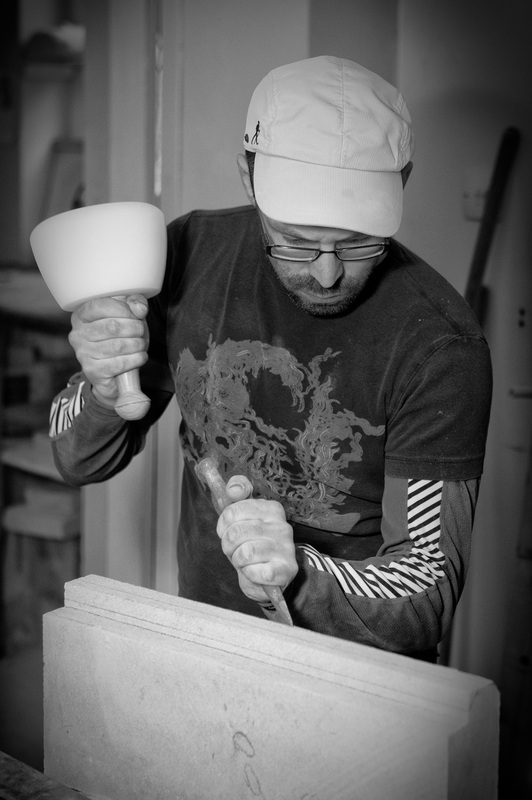 Geraint has worked as a cathedral stonemason in workshops in Somerset and London and continues to work using traditional methods to produce unique carvings, new build and restoration for houses and churches across South West London and Surrey. Geraint lives in Kingston upon Thames and works all over South West London particularly in Wimbledon, Kingston and Richmond and also Surrey.